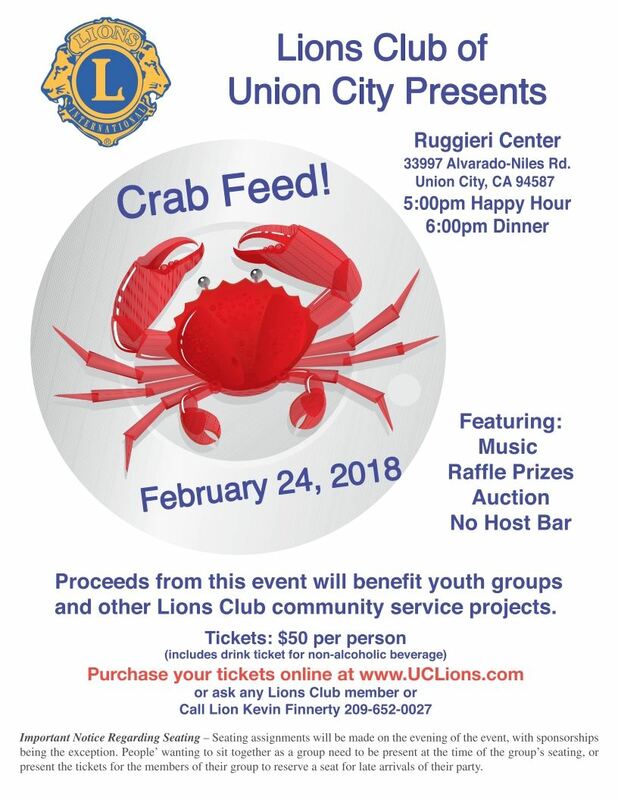 The Crab Feed is being organized for 2018, which is very Good NEWS for our Lions Club and our community WE SERVE! The Crab Feed is scheduled for Saturday evening, February 24, 2018! Please mark your calendar, our Club needs your active participation with this event.